According to a report by Nielsen at http://www.nielsen.com/us/en/insights/news/2015/so-many-apps-so-much-more-time-for-entertainment.html, it seems that consumers are spending an average of over 37 hours per month on phone apps usage. Even if there are millions of apps on the app stores that compete for the user attention only a relatively few will get the regular attention of users. 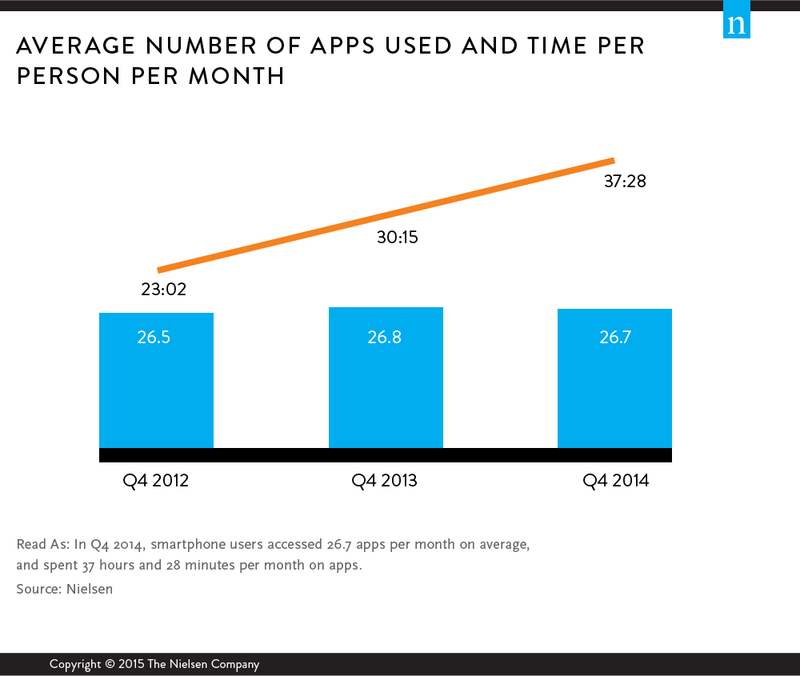 Users regularly access on average only 27 apps per month, if not less. Both men and women tend to use a similar amount of apps, which is quite surprising. However, the app type does change drastically from one gender to another. What category is used the most? The Entertainment category dominates app usage with gaming apps representing the heaviest usage. Entertainment and social apps appear to be crowding out the usage of BtoC retail and restaurant apps. Other reports indicate that users have only one to three apps of the largest retailers apps installed on their phones. In the restaurant space consumers regularly use less than one app. The fact is small restaurant chains and independents have little chance that their app will be regularly used by consumers. While the benefits of notifications may be enticing for the restaurant owner, the fact is a lot of time and effort can be spent maintaining an app that will have very little bottom line impact for the business. 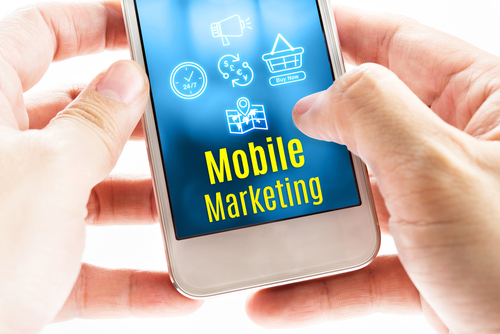 Instead of investing into an app, a good idea would be to make sure your website is mobile friendly. Driving traffic to your website will only help improve your local SEO and increase the chances your site will appear on page one of search results when people are searching for your type of restaurant. Consider providing access to your coupon offers directly on your website. We have a sample webpage showing you how you can provide your latest coupon offers (even coupon offers restricted to a single use) directly on your website. Our website widget uses the same technology that Facebook uses when showing a view of your Facebook page on your website. For more details about presenting coupon offers on your website email us at tellmemore@thatsbiz.com or call us at 866-575-4769 x1.